Quality is very good, and you work very hard and diligent and quick for me, so I'm happy to bring more good order to you. Everything went great, & I so apprecaited all of your help. 3~10 days depends on the quantity. Q1. Can I have a sample order for this product? Q3. How do you ship the goods and how long does it take to arrive? A: Yes, we offer 1-2 years warranty to our formal products. Q5: What about delivery time? A: 1) Samples: within one week. 2) Goods: 15-20 days usually. Any kind of packing can be mixed. 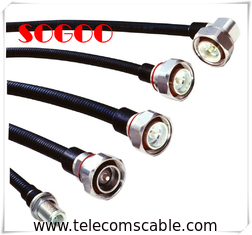 China Good Quality AISG RET Cable Supplier. Copyright © 2018 - 2019 telecomscable.com. All Rights Reserved.